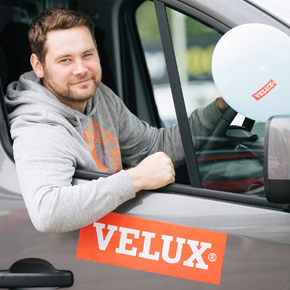 Keven Townsley, a Perth-based window installer, has won a brand new van as part of the VELUX 2016 Tour, which travelled across the UK and Ireland to promote the new VELUX white-painted roof window range. Keven was awarded the Vauxhall Vivaro van, worth over £20,000, after scoring highest during the ‘Fill it to win it’ interactive game. Further prizes including Makita Drill sets and iPad Minis were given to the next nine top scorers during the VELUX tour. 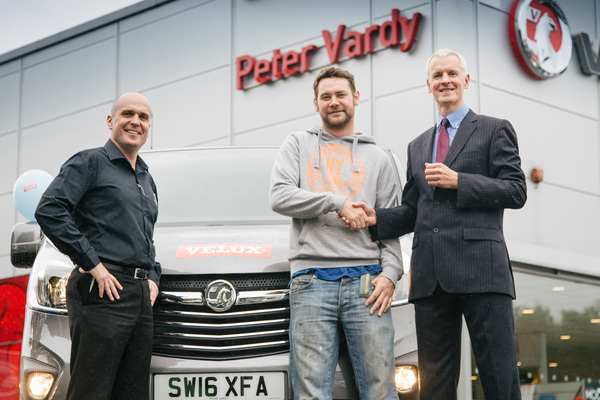 Justin Fotheringham from Peter Vardy Vauxhall, Perth; Keven and John Quigley from Velux. 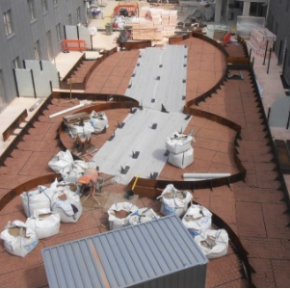 The VELUX 2016 tour visited 254 different venues across the UK and Ireland between March and July, promoting the brand’s new white-painted roof window range, developed as an alternative to its traditional pine roof and white polyurethane windows. 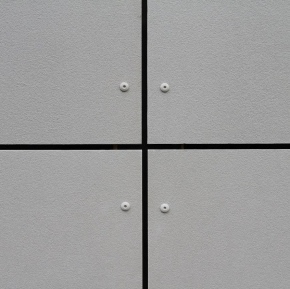 The product’s white painted surface has been designed to reflect more natural light than darker surfaces and better complements bright and light interior finishes. The roof windows are available in a matt white finish, tripled coated with water-based lacquer and a UV resistant white paint, to ensure that the windows remain low maintenance. 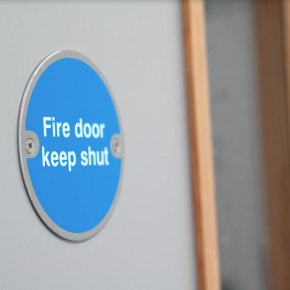 The windows are developed with a –70 pane as standard and feature a laminated inner pane and a toughened outer pane.